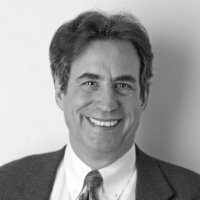 S. Jacob Scherr is a Senior Advisor to the International Program of the Natural Resources Defense Council in Washington, DC. During his long career with NRDC, Scherr served as an attorney and program director addressing a broad range of international environmental and nuclear issues. Among his many accomplishments are securing a mandate for U.S. foreign aid for environment and natural resources in developing countries, creating the NRDC BioGems Initiative to protect special natural places throughout the Americas, and leading a major technical demonstration with the Soviets on nuclear test ban verification. Scherr has been actively engaged in international environmental summitry since the first Earth Summit in 1992 – most recently as a member of the U.S. delegation to the UN 2012 Rio+20 conference – and has worked over the last two years with experts at Yale, Oxford, and elsewhere on the design of a “new global architecture” for climate change and sustainable development. Scherr is a member of the boards of the Center for Global Development and the Herbert Scoville, Jr. Peace Fellowship.